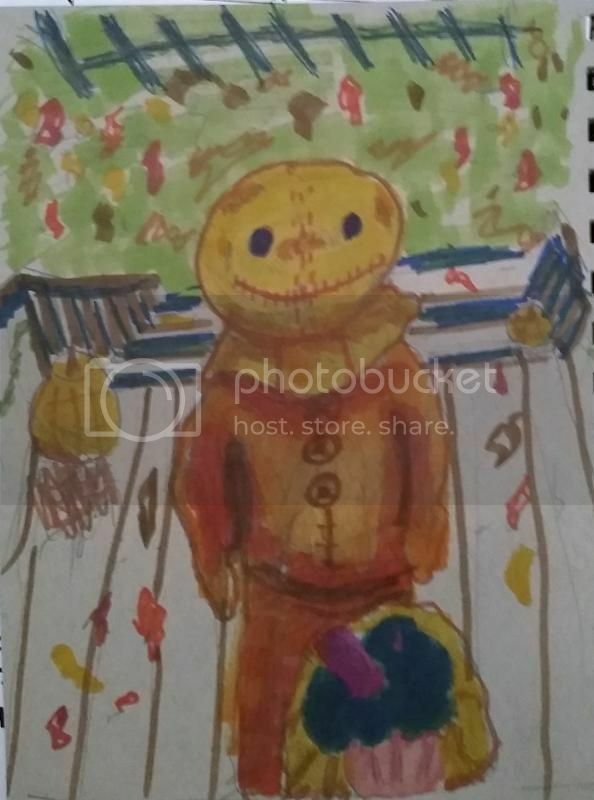 I did a quick doodle of Sam from Trick'r Treat last night and decided to do it in more detail today. I worked on the toned gray paper not realizing I'd want to color him in. It bled everywhere.